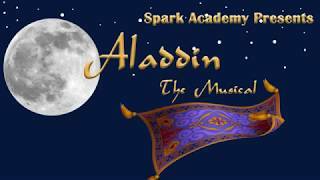 Spark students delivered with their musical and bilingual version of Aladdin Kids. Audiences enjoyed the recent performances. Click here for some photos. Forty students from Spark Academy received an early present thanks to two runners from New Balance. They chose Spark to receive 40 pairs of new running shoes since fitness and exercise is a strong part of the curriculum. Each of the students earned a pair for their good behavior and effort this year. Spark Academy thanks New Balance for this generous donation. Students at Spark Academy wowed their audiences with their musical rendition of Hairspray Jr. The colorful sets and characters made for a fun performance. Can you recognize anyone with all that hairspray? Students presented their version of Little Mermaid Jr in a colorful and entertaining show. Great job Spark! Have a look at the show in photos here. Spark 8th graders took part in an Interactive College Fair. They got to learn about different types of careers thanks to the great planning of Gear Up. Students from Spark Academy perform this fun musical.